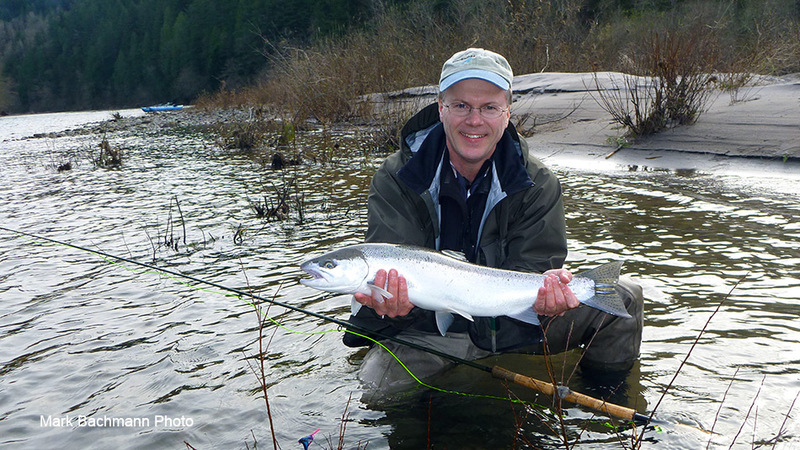 In our neighborhood, winter steelhead weather can mean rain and lots of it. The word "rain" turns most people off, because they associated it with discomfort. However, rainy days don't have to be uncomfortable, if you dress properly. Rainy days can be beautiful. Everything is washed and clean. Rain softens the edges of the landscape. 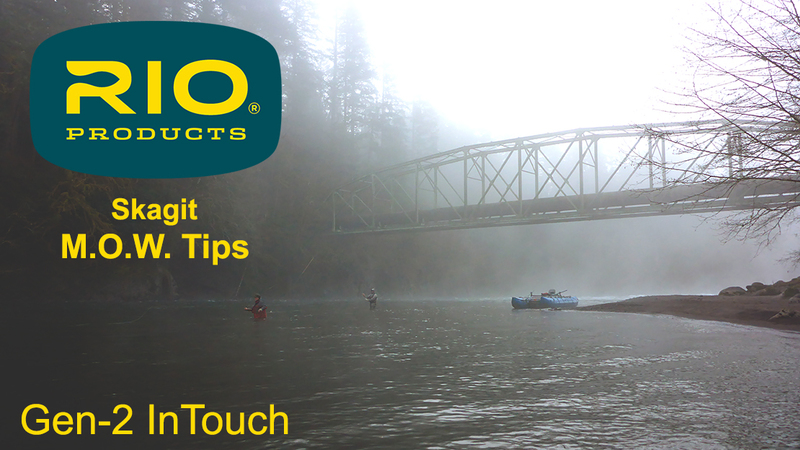 It dampens sound and a rainy day on the river can be one of personal intimacy. 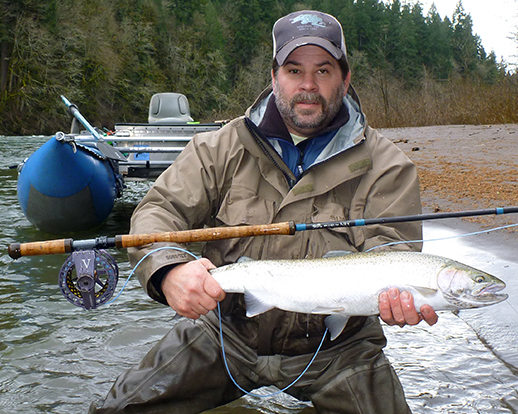 But the best reason to fish in the rain is that steelhead are more aggressive on cloud-cover days. The G3 Guide™ Jacket is 25 percent lighter, while ratcheting performance thanks to rugged, rip-stopping 3-layer GORE-TEX™ Shell fabric. 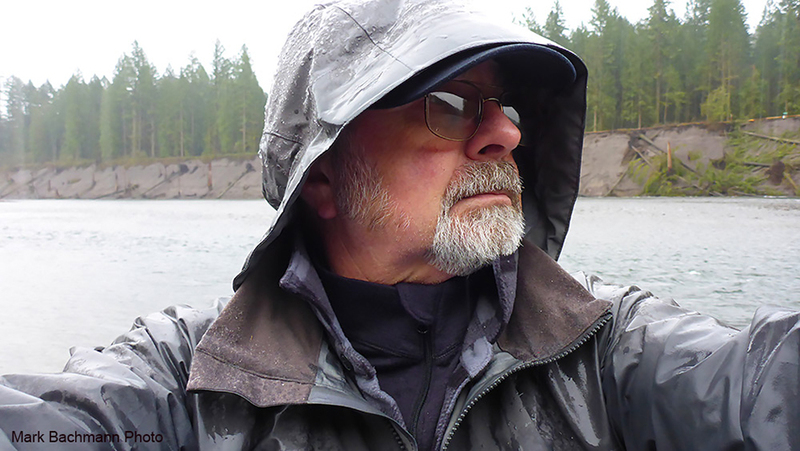 Guide-tested including 2 large top-loaded fly boxes pockets and zippered chest, internal stash, and micro fleece-lined hand-warmer pockets. 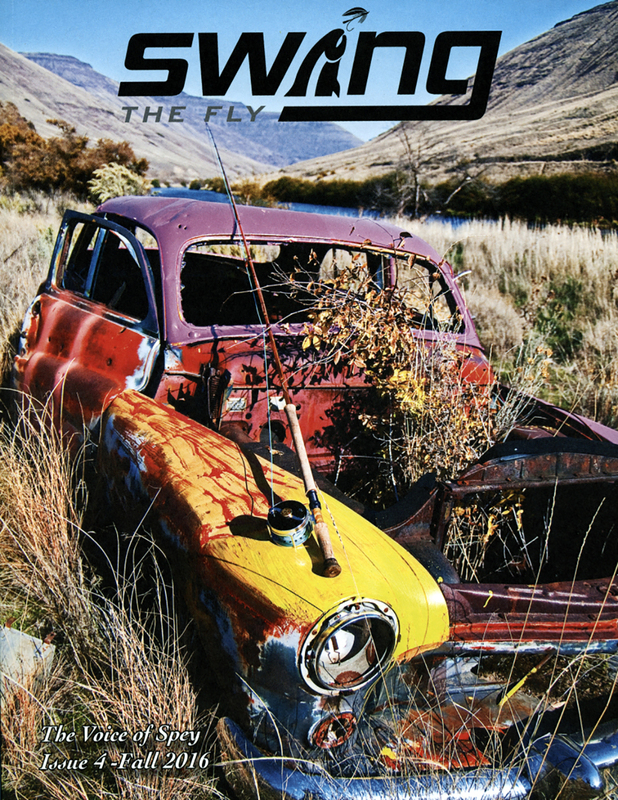 What they say: Swing the Fly magazine was formed in 2013 as an online magazine dedicated to Spey Casting and swinging flies for Steelhead, Atlantic Salmon, Trout, and More. This is a fly that could be fished on the swing for steelhead and salmon year round using anything from a Skagit head and a heavy sink tip to a full floating line and long leader. Named after two legendary Pacific Northwest steelhead rivers and influenced by numerous northwest "Intruder" fly variations, this fly was designed with a full calendar year's worth of fishing in mind.